Slip into something a little magical and become a unicorn with a pair of velour-clad plush Unicorn Slippers. Features real unicorn hair, detailed eyes and legs. 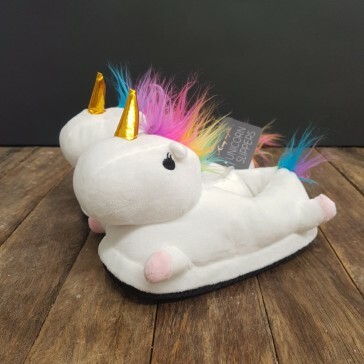 No unicorns were harmed in the making of these slippers. That wasn't unicorny at all!